Boxclever Press Budget Planner. Monthly Income and Home Expenditure Tracker, Regular Bill Organizer, 13 Pockets for Receipts and Bills. Measures 9.5" x 8". Start Using Any time. 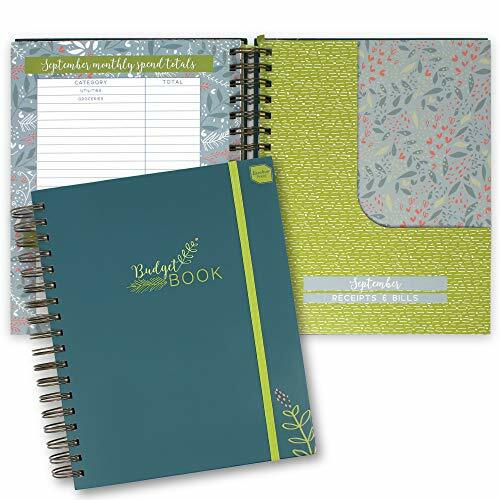 Our Boxclever Press Big Budget Planner / Organizer is the best notebook for planning your personal and home office finances throughout the year. Log your income and then track your expenditure throughout the month. This helps to ensure that you have your checking account under control and you'll become a budgeting ninja! Closing with an elastic bandeau, this smart budget book keeps homes and families wealth, investments and day to day expenditure in check. Keep a note of meal expenses, mortgage payments and how much you're spending on the kids! KEEP DEBT UNDER CONTROL AND ENSURE YOU SPEND WELL - This beautiful journal has all the space you need to note your expenditure for the month, manage your accounts & store important receipts. BEAUTIFULLY MADE STYLISH ACCOUNTING CALENDAR WITH 13 STURDY CARD POCKETS IDEAL FOR HOME OFFICE - deluxe, attractive undated receipt notebook, with a pretty satin ribbon which page marks. 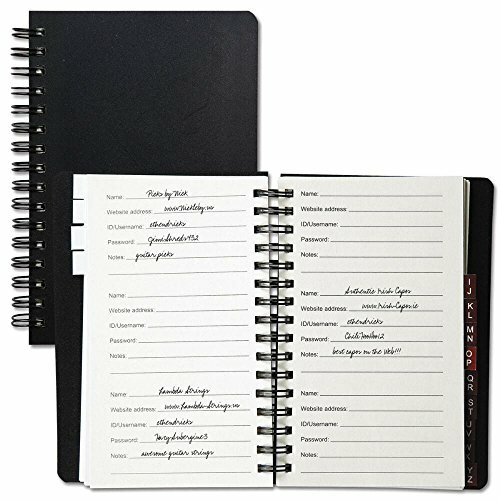 The brand new Boxclever Press (formerly Organized Mom) Internet Password Journal & Web Address Notebook is a hardback organizer that will keep all your usernames, passwords and online information safe and secure. 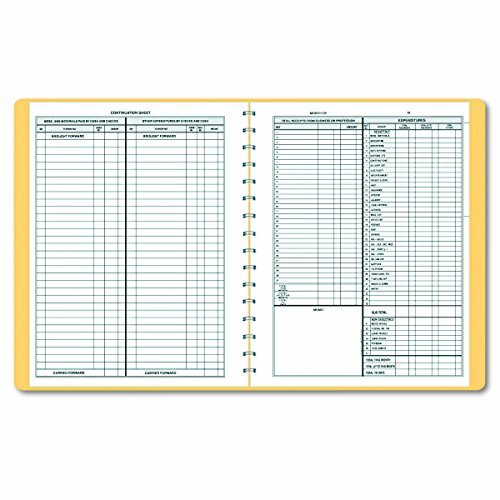 This pretty logbook will keep all your passwords, login information, password hints, web and email addresses and usernames in one convenient place so you never have to forget this important information again. 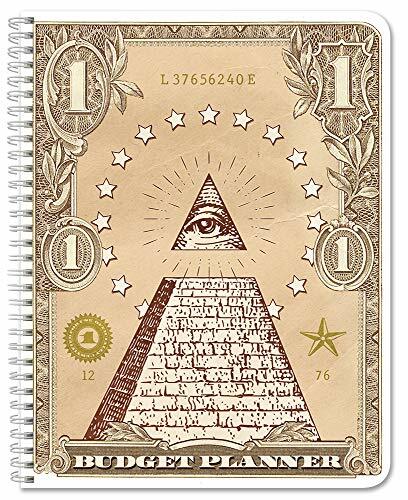 Measuring 4-1/3" x 6-1/8", this password book has been designed so that it is anonymous without an obvious title for extra security. It also comes with space for notes and jotting down wireless and email settings. The a-z tabs make it easy to find a password when you need one and the pretty satin ribbon page marker will help you find your place quickly. 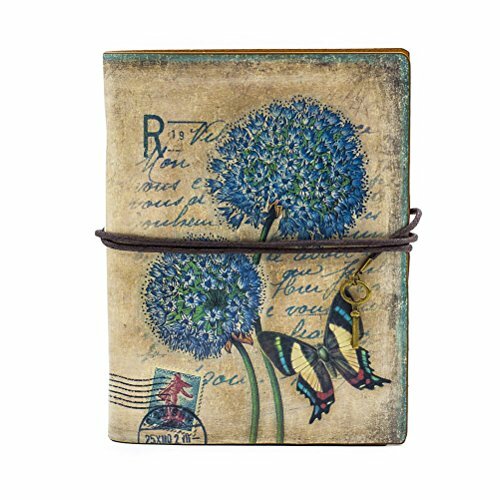 PRETTY & PRACTICAL - pretty password journals with silver-foiled cover features a ribbon page marker and elastic bandeau closure. Would make a great addition to any home, desk or office. SPACE FOR EXTRA INFORMATION - there are pages for software licence & service provider details plus extra notes. Comes with sections to note details for banking, retailers, work, social media & more. Boxclever Press Food, Diet & Weight Loss Journal. 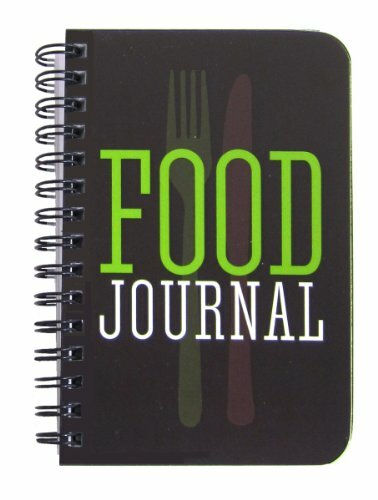 Get beachbody Ready with This Gorgeous Food Diary Notebook for Any Slimming and Fitness Plan. Weight Loss Tracker. Reach Your Health & Dieting Goals. 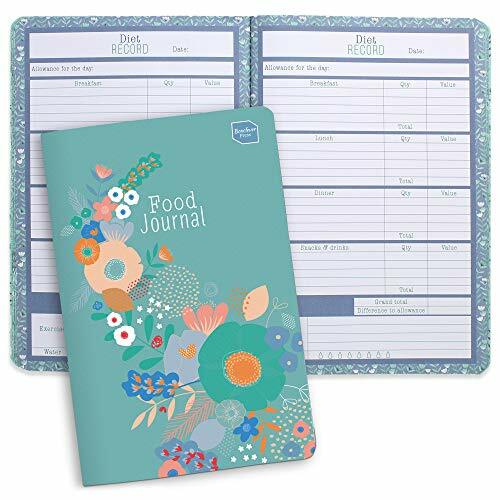 A new addition to the Boxclever Press (formerly Organized Mom) range, this pretty 13-week food journal is a food diary, diet planner and weight loss tracker in one and is compatible with any US weight loss club or eating plan. Each page has been beautifully designed and provides plenty of space to record daily meals, water consumption & exercise. It also features an informative introduction and useful hints from a nutritionist to help you achieve goals. Starting on a diet plan can be daunting but writing down your goals and why you want to achieve them is a great way to kick start your diet and inspire you to carry on, therefore we've made sure there's enough space to write down your targets and your achievements. Record your daily meals and snacks to ensure you're getting a full and balanced diet. It's not easy to eat the recommended amount of fruit and vitamins your body needs, but this beautiful book will help you stay on track so you can meet your wellbeing targets. 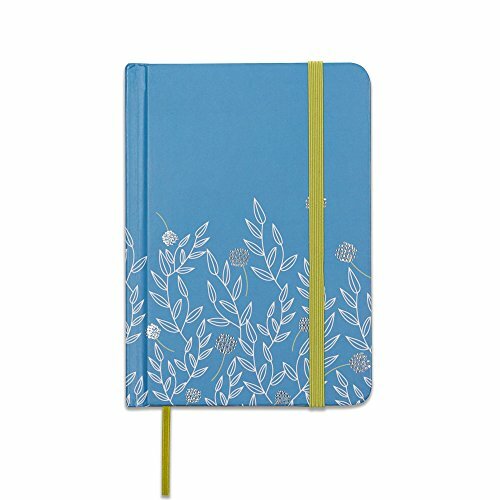 Featuring a gorgeous floral design, the front cover is perfect bound and flexible, and the diary measures 8 x 5.5 inches. WILL WORK FOR ANY DIET PLAN - this personal food journal is flexible to suit Whole30, slimming world, 21 day fix, macro or any fat loss plan with space to note calorie count intake or food value. PLENTY OF SPACE TO NOTE MEALS EACH DAY - tracks your breakfast, lunch & evening meal. Space to track daily exercise, gym training workouts & water consumption. Undated so can be started at any point. Internet address and password log keeps track of websites, passwords, and user names for instant recall and reference. Compact, spiralbound book has tabbed alphabetical pages (2 letters per tab). Each of these tabs has 5 pages with room for 3 entries on the front and 3 entries on the back (30 entries per tab). There are a total of 13 tabs with 5 pages each for a total of 65 pages. There are also 10 pages for notes at the end. 4-1/2" x 5-3/4". Blank Cover for security. Organizes your information alphabetically, will fill-ins for user names, passwords, and URLs. 75 Pages, 4-1/2 x 5-3/4. 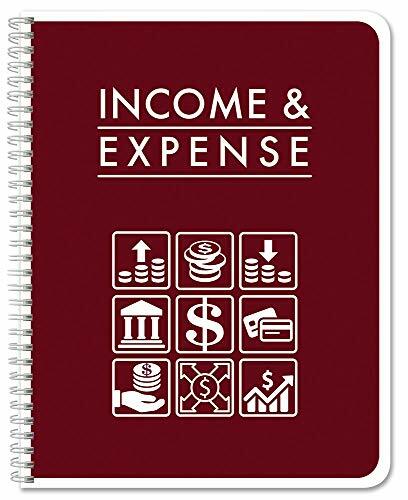 Budget Book, Finance Journal, Expense Tracker, and Bill Organizer - Monthly Budget Book Bundled with Cash Envelopes, Stickers, and a Pen - Meet Your Financial Goals Using This Budgeting Planner. Features: 2 year budget book, 3 money envelopes, 2 sets of stickers, and a custom pen. Materials: PU leather cover, front/back expandable pockets, 78 inner pages with custom colors, elastic band, and pen holder. 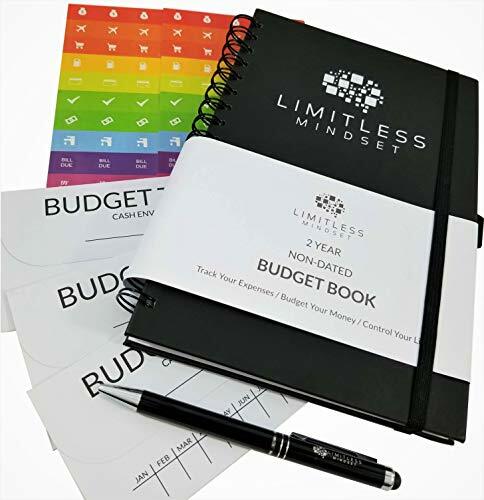 THIS 2019 BUDGET BOOK - With your Limitless Mindset Budget Book you will receive 3 cash envelopes, 2 sets of stickers, and your own custom pen. 2 YEARS OF USE - 24 unique colors for each month undated. We are providing the best value for the price, because we care about our customers. TOP QUALITY MATERIALS - The front cover is made of PU leather and the inner pages are 80gsm. Each book includes 2 thick front and back pockets perfect for bills, receipts, and money. Keep your pen secured with our sleek pen holder. Never lose your place on a page using our elastic band. ACHIEVE YOUR FINANCIAL GOALS - If your in debt or trying to manage your finances better this budget book was meant for you. %100 SATISFACTION GUARANTEED - With each budget book sold we will send out an email to confirm your satisfaction with our budget book. Durable Translucent Cover Custom Food Journal with Spaces to Record Food for organizing all of your meals for the day. Space to enter up to 5 Meals, keep track of water consumption.The log pages also have a place to total your Daily Calories, Carbohydrates, Fat and Protein. BookFactory is a Veteran-Owned Firm certified by the VA. We Proudly Produce Our Books in Ohio, USA. User Data Page to Help keep it Personal. Notes Page for Adding Comments. Designed specifically for the efficient searching of your private written information that requires a password or sequence code. Even if the common use for the book is for website passwords, it can be used as well for many other private information such as bank pin, safe locks, suitcases etc. The ideal size of 7 "X 5" facilitates handling and leaves plenty of room for writing. Search system is in alphabetical order with well visible printed letters. The commonly used letters have more pages than the less common ones, but always have a minimum of 6 possible password entries. Additionally, book includes extra pages for custom personal needs. Binding is of spiral type so your book stays open when in use. 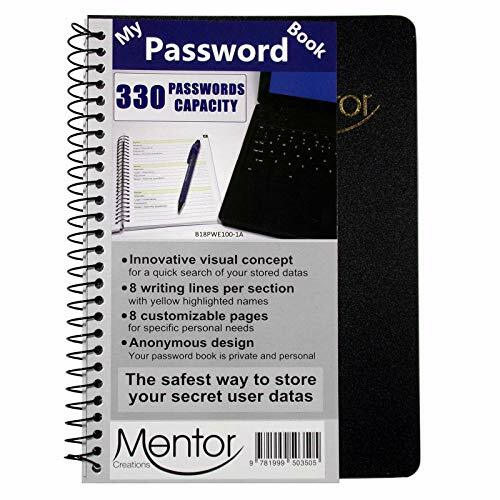 Your password book is the safest way to store your personal confidential datas. Alphabetical search with well visible printed letters for easy scrolling of your search. The common letters have more pages than the less common ones. An ideal way to keep record of cash received and cash paid out, the Dome 600 Lexhide Cover Monthly Bookkeeping Record is wirebound and comes with 128 pages (enough for an entire year) for precise record keeping. Simple-to-keep, the record contains a payroll section, net profit/net worth ledger, calendar of tax forms, completed specimen page, and a list of 276 deductions allowed by law. The record also comes undated, so you can start keeping record at any time. Measuring 8-1/2 x 11 inches, this record comes with a tan cover. Record book offers a simple way to keep accurate records of Cash Received and Paid Out. Wirebound record book with Lexhide cover is undated and good for a full year. Book contains 128 pages. Non-refillable. Design includes a payroll section for up to six employees, calendar of tax forms, detachable summary sheet, completed specimen page, list of 276 deductions allowed by law and other exclusive features. Bookkeeping Records. Record of Cash Received and Paid Out. Includes Net Profit, Net Worth, Payroll. Includes Net Profit, Net Worth, Payroll. It has 128 pages, wirebound. STAY ON TRACK & FOCUSED, SET MONTHLY GOALS & BUDGET / REVIEW: It all starts with a plan! Each month write down your monthly financial goals. Put reminders of bills and payments due on the calendar. Make a monthly spending plan before you spend. Use predefined expense categories to plan your monthly budget. During the month track all your day-to-day spending. At the end of the month review what happened, spot bad spending habits, think about how you can improve next month. 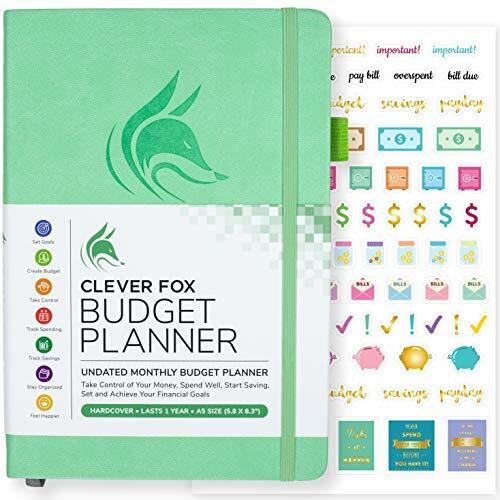 GUARANTEED TO KEEP YOUR FINANCE ORGANIZED OR YOUR MONEY BACK: The Clever Fox Budget Planner Organizer is guaranteed to work, or we will give you your money back! If you are not happy with your results or for any reason you're not completely satisfied with your purchase of this budgeting workbook, simply contact us for a hassle-free refund, No questions asked! TAKE CONTROL OF YOUR MONEY & ACHIEVE YOUR FINANCIAL GOALS: Are you looking for the best monthly budget planner to keep your finances organized? Clever Fox Budget Book will help you keep your money organized, spend well, start saving, set and achieve financial goals. It can help you to manage all your personal finance, savings, budgets, debt, payments, bills due, cash flow and expense tracking in 1 place. By using this budget keeper, you can become a personal finance and budgeting expert. ELEGANT, SMART & PRACTICAL PERSONAL FINANCE: Clever Fox Budget Journal starts with 2 pages for setting your financial goals and their breakdown on the mind map. There are 2 pages for writing your strategy and tactics, 2 pages for tracking savings, 2 pages for debt tracking, followed by 12 months (8 pages per month). At the end of the Clever Fox monthly expense planner there are 2 pages for Christmas budgeting, and 2 pages for an annual summary to track your progress throughout the year. PREMIUM QUALITY, PERFECT PORTABLE SIZE & BONUSES: Clever Fox Budget Notebook made from high quality leatherette hardcover with an elastic band, pen holder, 1 accordion pocket for bills and receipts at the end of the money planner, 1 bookmark, thick no-bleed 120gsm paper. 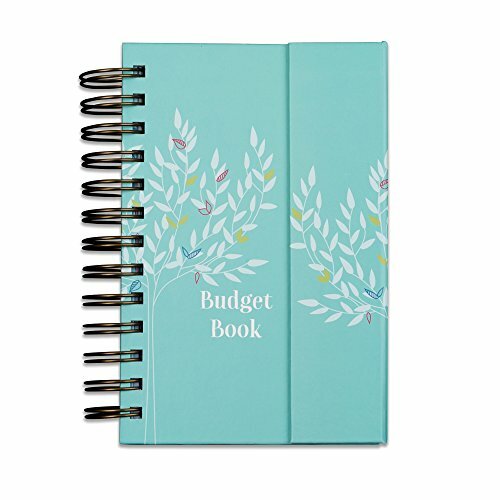 This finance planner is A5 size, measuring 5.8 inches wide, 8.3 inches long and 0.6-inch thick. This budgeting planner and accounts book comes with a free page of 86 stickers and a quick start user manual with filled examples. In a world where we are bombarded by content and information from the outside, taking time to simply be with yourself in meditation isn't a luxury, but a necessity for well-being. The Meditation Sidekick Journal is a book and journal that guides you through learning how to meditate, facilitates self-inquiry, and promotes individual growth. This journal debunks our ideas and associations about what meditation is and what the experience can be. We will guide you to experiencing the incredible benefits the practice actually brings. The journal is split into three phases. Each phase provides a tracking page and daily content specifically tailored to help you defeat the struggle associated with the phase you're in of the habit-building process. The introduction to the journal provides a fundamental understanding of how meditation changes our brains, why it seems difficult at first, the experiences you'll have, and more on how it can improve your life. Each morning, you write the time you'll meditate, how long you'll meditate for. Each evening, you get questions to help you open up about your experience, think about how mindfulness can improve the events in YOUR life, and record what improvements you're seeing. Each day you're given learning tools, inspiration and guidance for improving the quality of your practice. These include guided meditations, affirmations, expert tips and strategies, links and descriptions to phenomenal videos and podcasts, and more. Our private Habit Nest community is extremely active with members who are on the same journey you'll be on. We help keep each other on the journey with a positive mindset and talk through our struggles together! 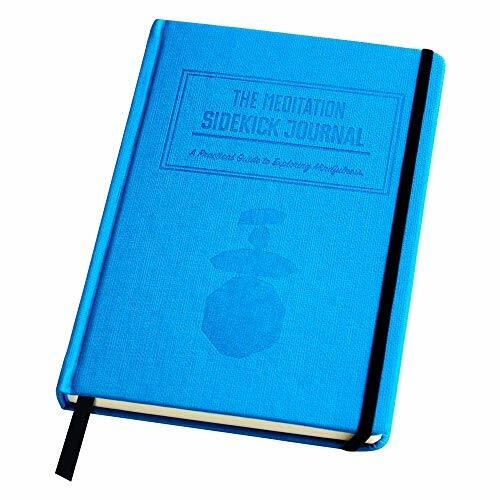  The Meditation Sidekick Journal is a short book AND highly interactive 90-day journal that guides you through learning how to meditate, facilitates self-inquiry, and promotes individual growth. 易 Includes a simple, concise introduction to the neuroscience behind meditation (effects of meditation on the brain). Includes a discussion on why meditation is 'difficult', an explanation of what meditation 'is' and the different experiences you can have in meditation. Explores the relationship between change and mindfulness; Explores the relationship between mindfulness and meditation. 律 Includes Guided Meditations: You'll be guided through seeing yourself from a completely new perspective on the meaning and value of thoughts and emotions, and developing of the inner tools you need to meditate effectively on your own.  Track your progress daily: The tracking page is perfectly designed to help keep you on track with your goal of meditating daily, beginning to think in completely new ways, and expanding your idea of yourself. Daily content and accountability: You'll get daily content to expand your mind, wellness, leave the realm of associative thinking and create a corresponding change in your experience of the world. Classic, antique vintage, rustic, retro note book. It's a gift that will never be forgotten. Many uses - Writing personal thoughts, jotting down ideas, sketchbook, daily planner, field notes, poetry, traveler's notebook, or a blank slate for anything else you dream up. The Binder design, if want to, it's easy to take off any page. Multifunctional and humanized design . Wallet Design: Including 6 card slots for ID,Credit and debit card,hotel card. Include a zipper pouch as cash pocket or for some gadgets. The perfect number of pages (90), not too bulky, so it's easy to write in from the very first page. Guarantee: We're so convinced that you'll love our note book, we offer a 30 day money back guarantee. if you're not satisfied we'll refund you. Vintage Leather Cover Loose Leaf Blank Notebook Journal Diary Gift. Size: 19*14.2*2.0 cm(L*W*H) / 7.5*5.8*0.8 inches; Paper Size:18*12.5cm / 7.1 x 4.9 inches. 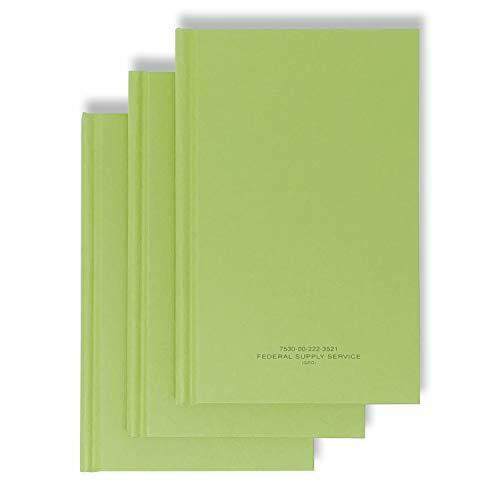 Number of pages: 90; Weight:120 g.
Perfect for handwriting, drawing or sketching and compact for carrying in your bag. 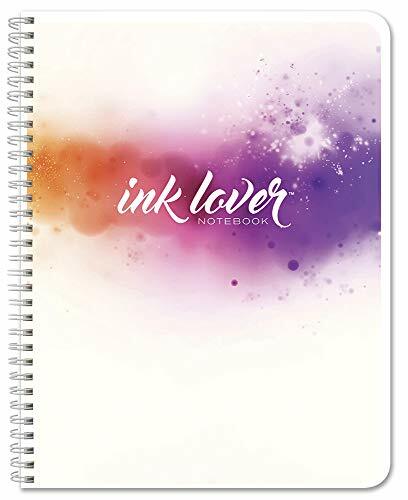 Ideal for an alternative Artists Sketchbooks, Girls Diaries, Travelling, Teen Journals, Poetry Work, Food Planner, Scrapbook and Christian Bible Journaling. GUARANTEE: If for any problem about the notebook quality, please let us know and we will refund you. 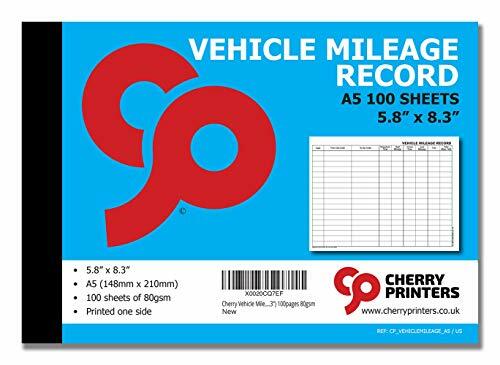 The Cherry Vehicle Mileage Record Log Book features 100 sheets of 80gsm. With 18 records per page, the full book contains space for 1800 records, providing excellent value for money. Ideal product for tracking your business miles. Wired & Bound to keep pages safely in the book. Small enough to fit in a glove box, but large enough to write clearly and comfortably. If you can't find a book you require, please call or email us and we'll try to accommodate your needs. 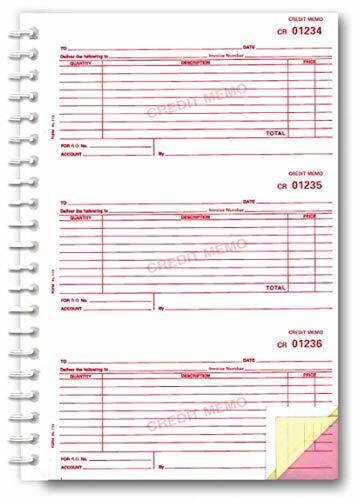 Parts drivers or counter personnel can issue a credit memo on the spot with this handy Credit Memo Book! Book measures 7.5" x 11" with 3 credit memos per page, 150 memos per book. Each memo measures 3.67" x 6.5". 3-part, carbonless - White, Canary, Pink Prints in Red ink with red numbering. Plain books, no selection of starting number. Compatible with Form #RL-113. Packaged 1 book per pack. 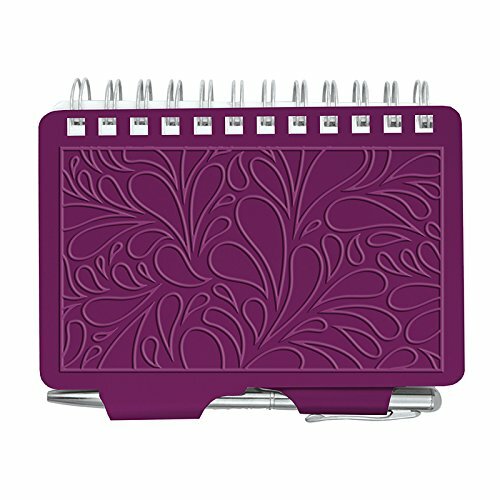 This InkLovers journal is a great place to stash your daily doodles or practice your penmanship. The durable thick paper can handle most any writing tools. For detailed recording of notarial acts-complies with state laws. 60 numbered pages, space for 522 entries and thumbprints. Includes sample page and instructions. Notary public record book has 60 numbered pages and space for 522 entries and thumbprints. For detailed recording of notarial acts-complies with state laws. 60 numbered pages, space for 522 entries and thumbprints.